The winch is an electric crane with small size, light weight, heavy lifting, flexible operation, safety and reliability, and durability. It is widely used in construction sites such as construction, bridges, metallurgy, mining, ports, and power plants. This machine is widely used in materials lifting and large-scale hoisting projects. It can also be used to drag various materials on slopes or flat grounds. JM electronically controlled large-tonnage winch hoist, JM electronically controlled slow hoisting machine, JK electronically controlled high-speed winch, JKL hand-operated fast-sliding winch, 2JKL hand-operated double-quick winch hoist, electronically controlled hand-operated dual-use winch, JT speed control Winches, KDJ miniature winches, etc. can only be used on the ground and can be modified for use on board. It is powered by an electric motor. 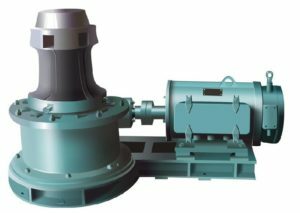 It is equipped with an elastic coupling, a three-stage closed gear reducer, and a tooth-coupled coupling to drive the reel. Electromagnetic brakes are used. The product is high versatility, compact structure, small size, light weight, significant from the point of use, easy to use transfer, is widely used in construction, water conservancy projects, forestry, mining, docks and other materials lift or drag, but also for modern electronic control Automatic line equipment. 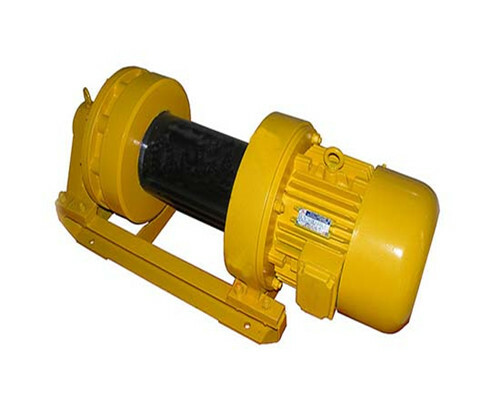 JM series gear reducer drive winch. Suitable for construction and installation companies, mining areas, factories and civil engineering and installation work. A device that is driven by human or mechanical power to drive a reel or take up a rope to complete the traction work. 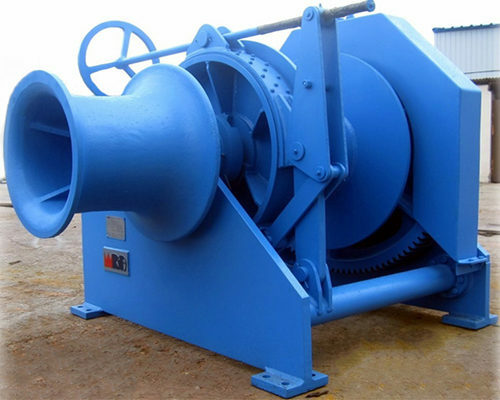 Slow winch: The winch with a rated speed of 1~12m/min for the wire rope on the reel. 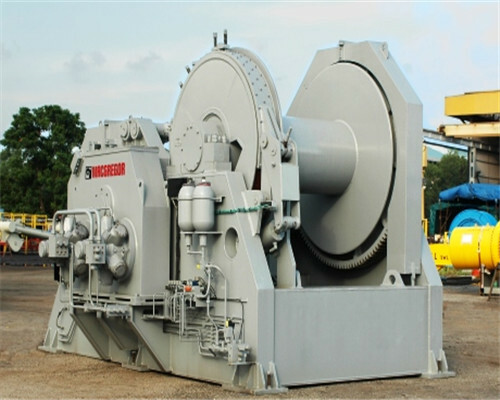 High-speed electric winches: Winches with a rated speed of approximately 60m/min on the drum. Electric winch: A winch driven by an electric motor that rotates the drum through a drive device. Variable speed winch: speed control adjustable hoist. Hand winch: A hoist driven by manpower to turn the drum by means of a drive. 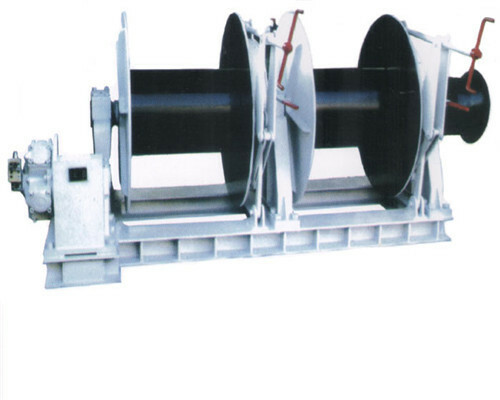 Large-tonnage non-standard winch: mainly used for hoisting, pulling, unloading, pushing, and dragging heavy objects. Such as installation and dismantling of large and medium-sized concrete, steel structures and mechanical equipment. Its structural characteristics are: wire ropes are arranged in an orderly manner, reliable installation and installation, applicable to piers, bridges, ports and other roads and bridges and large-scale factories and mines to install equipment. It is an external force (such as a motor) to drive him to run, and then through electromagnetic brakes and locks. The brake controls that it is not free to operate without power. At the same time, after being decelerated by the motor, it drives a wheel to run, and a reel or other thing can be coiled on the wheel. Generally, hoists with more than 30 tons of hoisting capacity are large-tonnage hoists. There are only a few hoisting machines that produce large tonnage in China. The current maximum tonnage is 65 tons. Mainly subdivided into JK (Fast), JM, JMW (Slow), JT (Speed ? 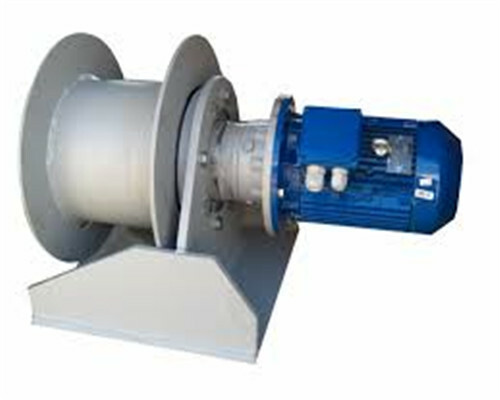 ?Adjustable), JKL, 2JKL Manual Control and other series winches, widely used in industrial and mining, metallurgy, lifting, construction, chemical industry, road and bridge, and hydropower Installation and other lifting industries. Right here in this post, Ellsen Winch Factory will introduce you some tips to select a cost-effective winch fit for your business. 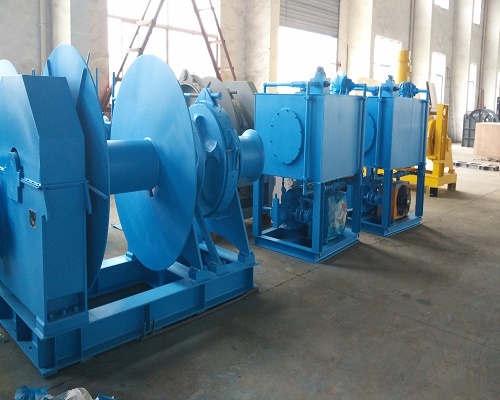 There are many types of hoist winches, such as a vertical hoist, bucket elevator, material hoist, chain hoist, etc., which are widely used in the industrial sector. Bucket elevator tape for ordinary wire rope and heat-resistant steel wire rope tape, ordinary wire rope tape for 80 ℃ below the material, heat-resistant steel wire rope tape for 120 ℃ below the material, the user should indicate when using the elevator, or by the ordinary supplier. Elevators lift height selection, the amount of this machine to upgrade with rice 3 / hour, according to the required amount of instructions to determine the size, check the appropriate type and specifications of the high series table may be. Vertical hoist for conveying powder, granular and small pieces of non-abrasive cut and grinding of small materials. Using mixed or gravity discharge, digging loading. Traction pieces with high-quality alloy steel ring. Central chassis sub-single, dual-channel two forms for the constant weight within the machine hammer box tension. Vertical elevator sprocket wheel interchangeable structure. Long service life, rim replacement is easy. Vertical lift the lower part of the use of gravity automatic tensioning device can maintain a constant tension to avoid skidding or stripping, while the hopper encountered accidental factors caused by the phenomenon of the card has a certain tolerance, can effectively protect the lower shaft part. 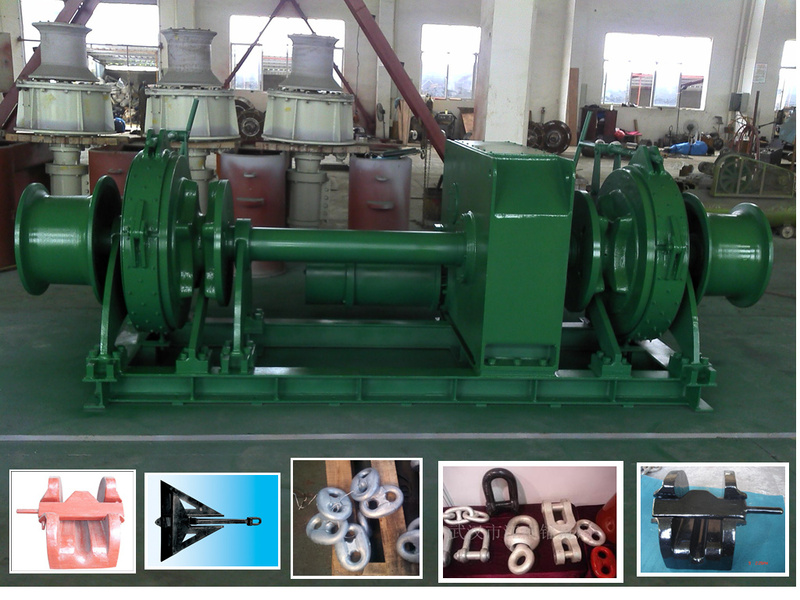 Any information you want to know about our winch products, welcome contact us. In the horizontal or inclined roadway used to transport materials stepless rope winch etc.. 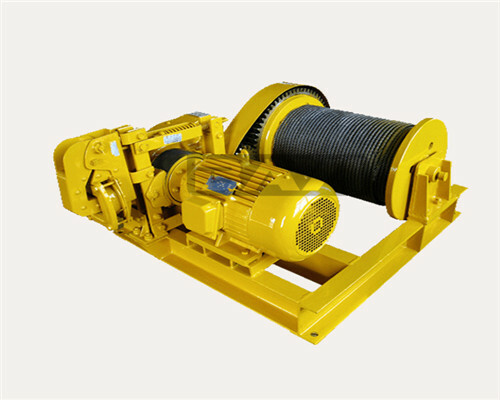 The electric winch is the most common winch.Depending on the power system of the vehicle, the winch can be driven. 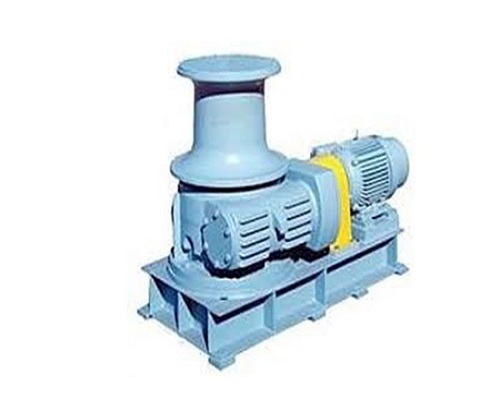 The advantage is that it can basically operate normally under the condition of vehicle dead fire, which is incomparable to other winches, especially for many areas with water. It is simple to install, and it can achieve multi-position installation and rapid displacement.Disadvantages: cannot sustain a long time of use (vehicle power system limitations, its easy to heat and other reasons), most electric winch can provide the driving force is small, can only exert force in one direction (installed in the car can only be pulled forward, installed in the rear can pull back). PTO winch, use transfer case output power as the power source (POWER TAKE OFF), can continue to provide advantages: large tension, single-use long time (there is no heating problem, can provide the direction of force) (before and after, or around), is a serious military vehicle or high performance off-road best choice.Disadvantages: must use the engine power in the engine cannot be used due to water and other reasons cannot work; transfer case lost winch direction driving force cannot be used. 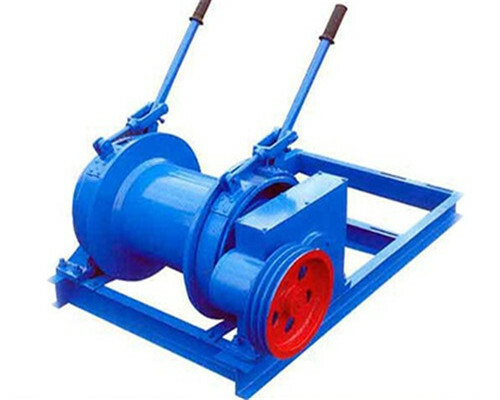 The oil pressure winch, using the power and power steering system of the vehicle as its power source, use the power steering pump to provide the source power.Advantages: easy installation, because its external fixed parts basically achieve universal, even in the field can be exchanged, driving force between the electric and PTO capstan, the chance of high temperature is extremely rare.Disadvantages: like the PTO winch, engine driving must be used, that is, the engine must be kept rotating, and once the power steering system fails, it can not be used. (in some off-road situations, the power steering system is easy to be damaged by the outside). The wheel winch is a new kind of winch system, that is, the wheel shaft provides the driving force.The principle is to use 4 of the 6 fixed screws of most cross-country wheels to fix the winch. Advantages: installation/disassembly is extremely simple (and change the tire is a step), lightweight (all lighter than any other kind of winch will not be suspended before bringing extra weight to death), the price is cheap, can provide double direction tension.Shortcomings: because the power point is the wheel shaft, so the position is too low, which can not be used in some conditions, and the engine power must also be used. 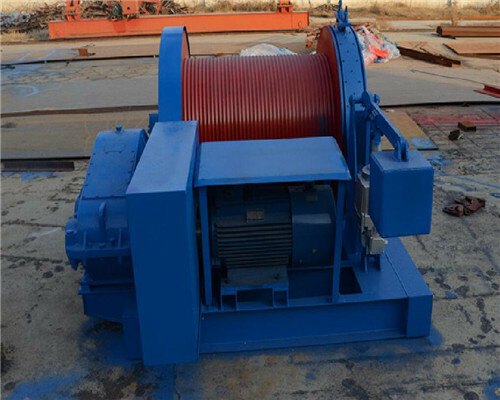 Manual winch, with the longitudinal or circumferential movement of the hand as the driving force of the winch, due to human power restriction, a usually manual winch is not strong pulling force. 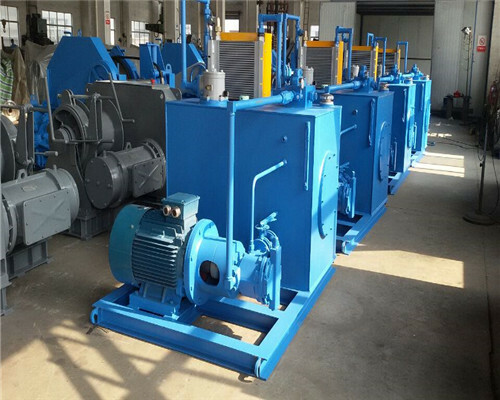 The pneumatic winch is the same design and working principle as the hydraulic winch, but the power is changed from the compressed liquid to the compressed gas. According to the different uses of winches, it can be divided into ATV winches, cross winches, truck winches, industrial winches and so on. 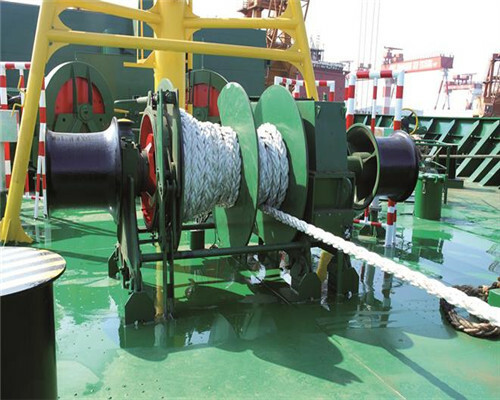 According to the characteristics of some industries, there are also waterproof winches, explosion-proof capstan, and other classifications. 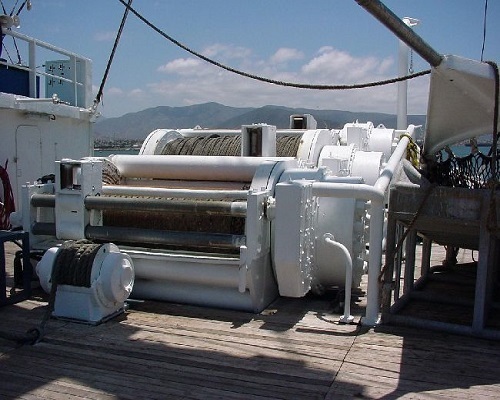 Would like to know more information about capstan winch modules or if you are not sure what kind of winch are suitable for your business, welcome contact us. The winch driver must be trained and certificated after obtaining the certificate of examination. 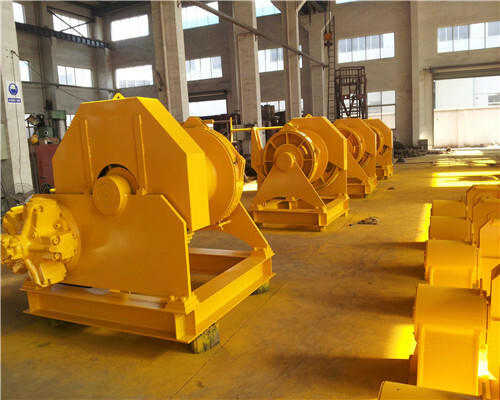 The winch driver should strictly comply with the operating procedures and the relevant provisions of coal mine safety regulations. 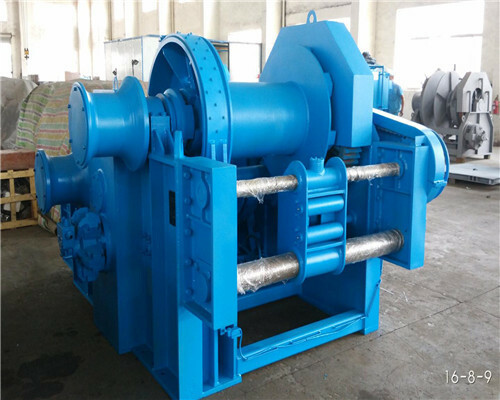 When operating the winch machine, the operator should be centered on its work duty and not permitted to drink, and wear clothes met safety requirement. The driver should be familiar with all kinds of signals, the operation must be strictly according to the signal execution, the signal is not clear, not allowed to start winch. When starting, it must be lifted slowly. After moving for a distance, the hoisting speed should be normal according to the rated running speed. 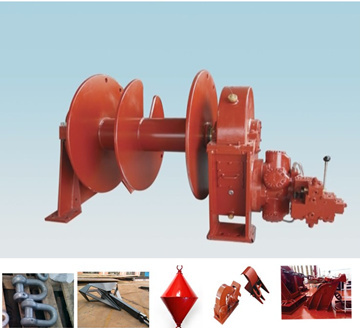 When lifting winch driver cannot leave the handle and the brake handbrake, also concentrates, observe, operating conditions, such as the current sound winch, winch rope is running or beating abnormally found abnormal immediately stop the winch operation, someone to view or process, can work normally.When lifting winch driver cannot leave the handle and the brake handbrake, also concentrates, observe, operating conditions, such as the current sound winch, winch rope is running or beating abnormally found abnormal immediately stop the winch operation, someone to view or process, can work normally. work, prohibit setting off the car. The speed must be slowed down when the yard is expected to enter. No overload operation, mine inclined shaft hoisting jump Road, ban rerailing winch traction. It is strictly prohibited to adjust the brake at the same time, prohibited the operation handle and brake hand brake and brake. The wire rope is checked according to the test point every 30 meters. 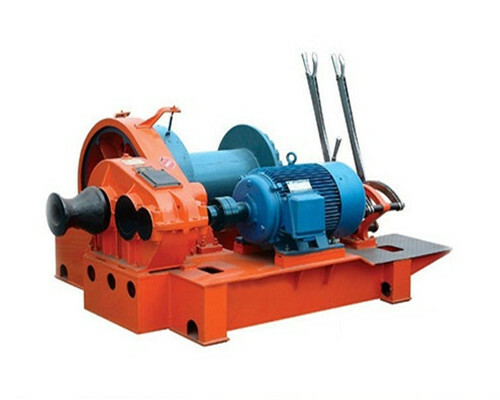 When lifting winch driver cannot leave the handle and the brake handbrake, also concentrates, observe, operating conditions, such as the current sound winch, winch rope is running or beating abnormally found abnormal immediately stop the winch operation, someone to view or process, can work normally. The wire rope must be replaced if it is damaged by a section of the tensile force or its length is increased by more than 0.5%. The number of broken wires or elongation at the end of the rope is suddenly accelerated (for example, a significant elongation for three consecutive days or a broken wire occurs in a certain twist pitch every day, it must be replaced immediately). The wire rope must be replaced because of the above signs, such as the rope head and the other parts of the wire rope failed to meet the requirements of daily inspection, it is allowed to use the method of cutting rope head. The two sides of the transfer must be handed over on the job site according to the prescribed time. The shift must be on duty and to make clear the successor, who can handle the problem by the shift, not handle, to timely reporting, and record. The equipment, materials, tools, equipment, spare parts and accessories should be handed over clearly. The two parties should conduct a round trip inspection according to the normal inspection route and project, find out the problem, fill in the shift record in time and report to the leader in order to get the treatment as soon as possible. Both sides should operate winch once to two times, experience winch operation, confirm the error, before the formal handover. 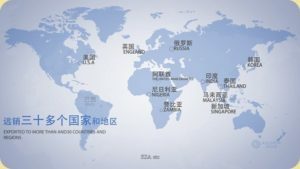 If the successor considers that some important security issues have not been clearly explained, he can refuse to take over, but he must timely report the decision of the captain on duty, and the successor shall not refuse to take over the case without cause. Do not give any handover certificate or drunk, the spirit is not normal, nonduty winch operators didn’t explain the succession. Unable to take over the succession, the shift cannot leave positions, should be reported to the leadership, and agreed to deal with, can leave work. The two sides believe that after the handover is clear, should be completed in the handover record, the two sides signed valid. No road car-pedestrian winch and oblique lane transport hook are prohibited. The hook workers should strictly implement the operation rules of the hook, strictly forbid to pull, push and jump. Oblique lane transport must install and use the retarder and barrier, must set up and use the signal swing yard. The inclined lane must be checked by rail transit every day, and the problems should be dealt with in time. Before the new rope is used, each wire rope must be tested for breaking, bending and torsion, and the unqualified steel rope is forbidden to use. The steel rope in use is tested every 6 months since its use, and its safety factor shall not be less than 7. The use of wire rope wear, broken wire, and other circumstances, must be in accordance with the relevant provisions of the coal mine safety regulations. The car parked in the car, prohibit the winch on the road car off the road on the winch handle on the road picking head is prohibited from. 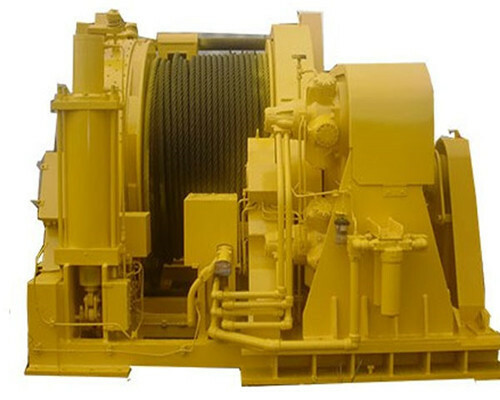 The connecting device of the up and down guide rope and the fixed pillar used by the winch must be firm and reliable, and the personnel must inspect the guide rope wheel, the fixed support, and the steel wire rope before the winch is used, and the problems should be dealt with seriously, otherwise, the operation is not allowed. Use the winch on the mountain, must be in the car with a car arrester, and flexible work, get off the field must have to escape the cave, the acousto-optic signal range, sensitivity. The hook worker is qualified by the training examination, and the hook is forbidden using without any license. Before the operating, please check signal, switch, lighting, parking hook and 15 meters of wire rope whether they are in a normal state. When the trailer is concerned, pay attention to check whether the connection device of the mine car’s seat is good and whether the vehicles are connected reliably. Check the materials, equipment, timber car binding is strong, long and wide and high compliance between two adjacent vehicle distance must be maintained between 250 – 400mm, if not beyond the scope of the trailer. It is prohibited to use other goods instead of a three-ring chain and connecting rod, and the rope sleeve connected with steel wire sleeve must be carried out according to the relevant regulations, otherwise, it is not allowed to use. The chain should stand on the side of the car, not the head or other parts of the body into the empty car, are not allowed to hang “flying chain”. Trailers and cranes must be in accordance with the specified quantity. To start the slow signal, when the vehicle into the Lane Lane trunk, you can send a quick signal, the hook is not allowed to pedal car. The safety facilities on the winch lane should be kept in good condition and reliable and should be used normally. Transporting Explosives and detonators is strictly prohibited. The faulty tramcar must be discontinued. To hook the chain, must stand in the place of safety operation, prevent the car knocked down or steel bullet wound personnel accident. The RBI signal must be clear and accurate, and the road drop must be connected to the winch driver. When the work is finished, the hook head should be removed from the mine car and placed in the middle of the track, and it is not allowed to be placed on the track surface. Winch driver must hold “post qualification certificate” and “special operation personnel qualification certificate” to be able to post, otherwise, no operation winch. Stick to their posts, shall not be absent from duty to the unit responsible for the safety of equipment and ensure the safe operation of the mine hoist. 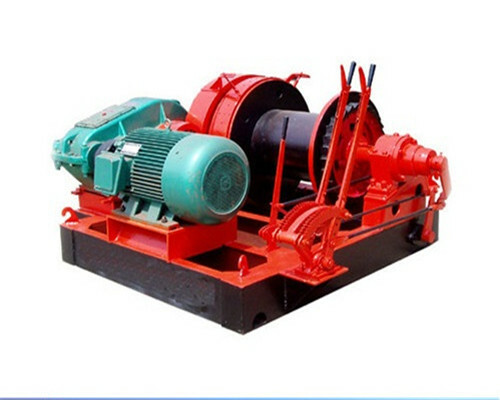 Adhere to the principle of the coal mine production safety, establish the idea of “safety first, focus on careful operation in the winch operation, not to talk with others, slapstick, the operation should not handle, is strictly prohibited in the equipment stops when you replace the winch driver. Personnel should be familiar with their own business, study technology, do “three know four”: know the structure of the equipment principle, know the technical performance, know the role of safety devices; will operate, maintenance, maintenance, will eliminate some common faults. The winch driver must see and hear the signal before it can start or stop the winch. For the abnormal signal or fault found in the winch operation, it must stop immediately, find out the reason, and then continue driving after troubleshooting. With the maintenance of maintenance, maintenance should be carried out during the operation system, adhere to one person operation, one person custody, and maintenance after the commissioning and acceptance.When the winch emergency stop, must be accurate and detailed to the electromechanical staff report, the reason is not identified, without permission, no return to power drive. Strict implementation of “pedestrians do not drive, not driving” regulations. Fill in “five records” carefully: shift record, tour record, safety device test record, personnel entry and exit record, operation log.Be responsible for ventilation, cooling and fire prevention of computer room and equipment, and maintain equipment and environmental sanitation.Be responsible for ventilation, cooling and fire prevention of computer room and equipment, and maintain equipment and environmental sanitation. The above information of the safety operation rules for winch drivers just for your winch operators reference, any detailed information welcome to contact us freely. Right here in this post, Ellsen Winch Factory would introduce some types of hydraulic winches for your winch purchasing selection facility. Hydraulic winch manufactured by Ellsen features factor price, high performance, ii you are not quite sure what types of hydraulic windlasses are suitable for your business, please read the following message carefully.Hydraulic winch features: the winch uses hydraulic transmission which reduces the electrical spark components.The cage motor is used to make the winch electric control simple and easy to be made for explosion-proof.Therefore, the hydraulic winch is an effective way to solve the problem of the whole explosion proof of the winch in the coal mine.Because the pipeline is used to transfer the pressure oil, the hydraulic components and all kinds of mechanical devices are easy to layout, and the installation of each element can be placed at any appropriate position, so it is convenient for the hydraulic winch to operate remotely. 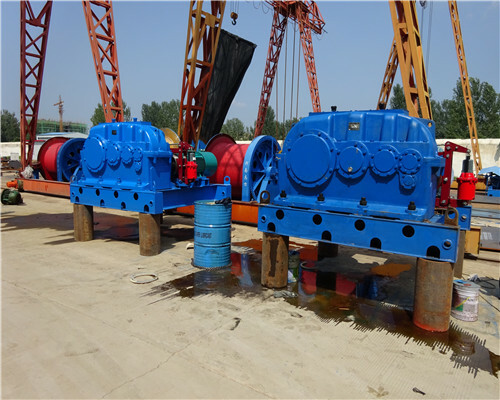 The above hydraulic winches are all available for your industry, any needs be free to contact us. 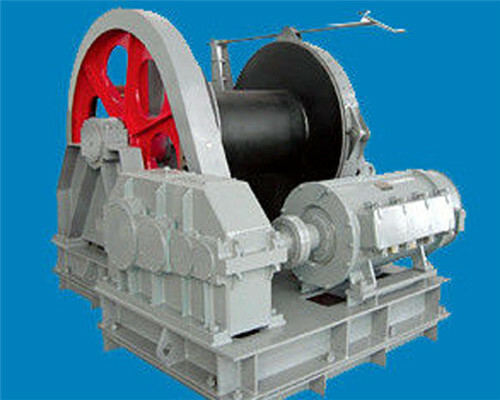 Ellsen Winch Factory shall always provide useful information about hoist winch for clients. During the winch operation, usage, purchasing you may meet different kinds of problems, right here Ellsen are helping you out from these troubles. 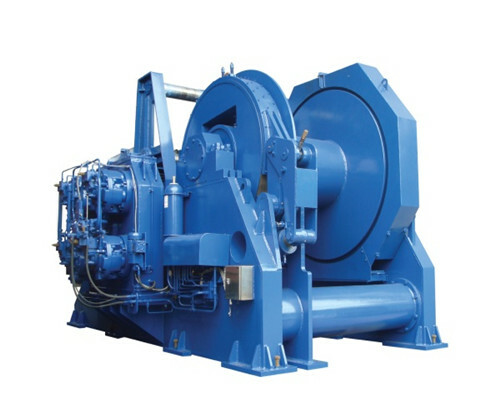 Improve working conditions of hoist gear tension and poor, high speed and heavy load are directly caused by the failure of the gear surface damage, and through proper lubrication materials and lubrication, to ensure the winch gear get sound lubrication, protect the gear, and prolong the service life of the winch. For the winch, the correct and timely lubrication is very important, because the relatively sliding surface, under the action of pressure, if it is in dry friction state, it will be damaged in a short time.Good lubrication can absorb the impact and vibration produced by winch gear transmission, reduce the noise of gear, prevent scuffing tooth surface, reduce the wear of tooth surface, and improve the bearing capacity of the tooth surface.However, in the winch users, many do not understand the important role of winch lubrication and winch users have not paid enough attention to the hoist windlasses lubrication, and they always use winch lubrication oil casually, which does not meet the user requirements.In the field of handling the winch fault, there are many faults caused by poor lubrication. The installation of the windlass in the construction is mostly temporary installation, using the reserved holes on the machine frame or fixing the anchor on the ground anchor with the wire rope coiling machine frame.The rear part of the winch machine is equipped with pressing iron to ensure that the hoist does not slide, displacement and overturn during the operation. The wire rope head should be drawn from the lower part, the center of the drum should be perpendicular to the centerline of the first guiding pulley, the first guiding pulley is not allowed to use the open pulley, the pulley is anchored by the ground anchor, and it is not allowed to be attached to the vertical transport rack. 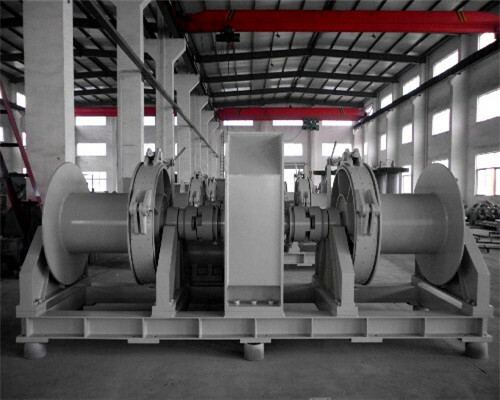 The pulley should be kept at least 8~12 meters away from the windlass, and more than 3 tons of hoist should be more than 15 meters.The wire rope winding to both ends of the drum, its inclination is not more than 1.5 degrees to 2 degrees. 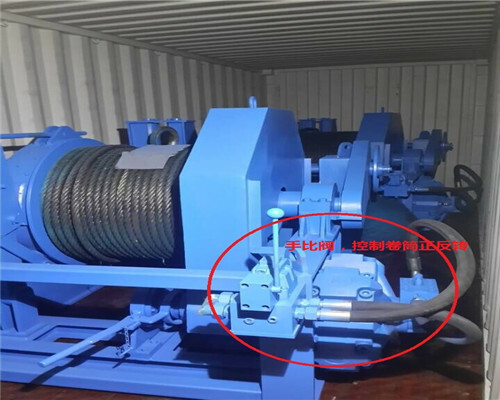 In order to ensure the safety of lifting heavy objects in the low position, the wire rope winch should not reel all off, in addition to the number of the fixed ring pressure plate, the winch should also have a 3 ring safety ring at least. The installation of windlass should select a place with the high terrain, good view, and strong foundation. 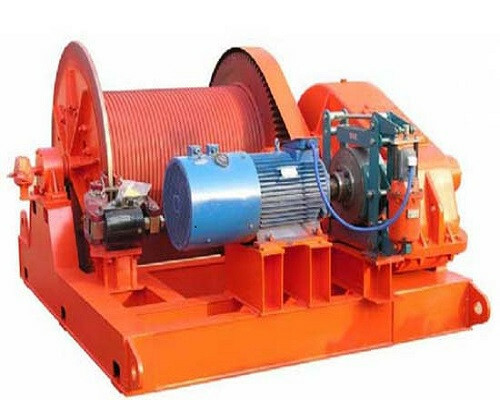 Installation Winch Outdoor should be rainproof and take anti smashing measures.The general method is the erection of a simple shed, a shed, should ensure that the winch machine operator can see the hand, fall, and place hanging objects. The electric control system of Ellsen winch should be located beside the driver. 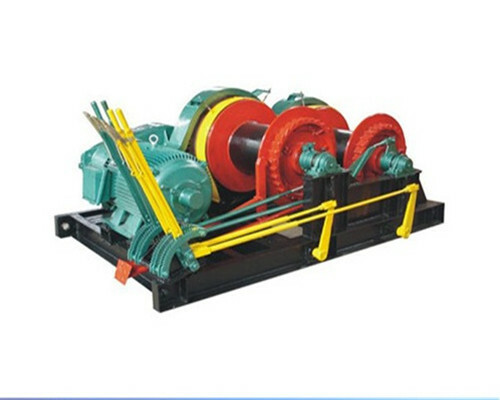 Ensure the winch system set reliable and effective, to prevent electric shock. The driver of the winch should be trained, qualified, certificated and appointed.The operation should be carried out before the test, to check the brake device is sensitive and reliable, connection fasteners are loosening, working conditions and safety device meets the requirements, after confirmation of quasi-driving. 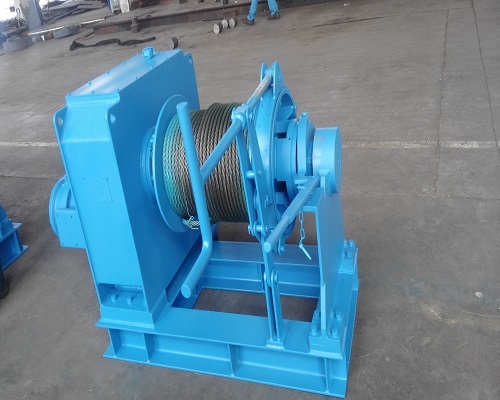 The winch is strictly prohibited to overload operation, and the winch steel rope is not allowed to mop the floor when running.Through the channel, safety systems should be added to protect the device, not on the car, pressure, prohibited personnel across the wire rope running. Please use Ellsen WIndlass in safe environments with its rated loads. 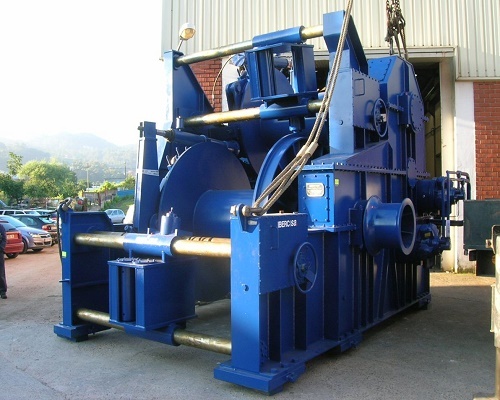 The winch installation and maintenance shall meet standard requirements. The checking items include: electric wire rope hoist must have flexible and reliable limit device; Ellsen hoist load test is based on the rated load weight, repeated lifting and moving around the test to check the mechanical transmission normal and reliable. When operation, the winch machine operator should concentrate, see the signal clearly, and obey the command.Absence is not permitted when the operator is operating the winch.When lifting heavy objects, the winch operation should be gentle and steady, prevent rapidly rising or falling, avoiding emergency braking as far as possible. 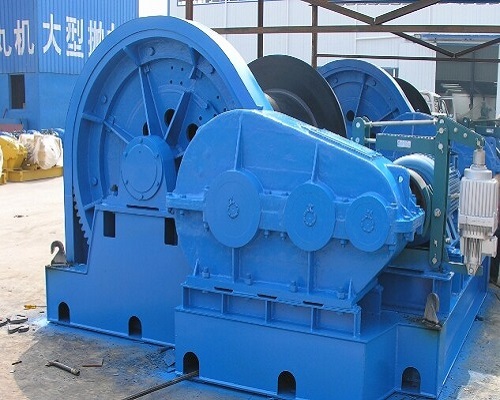 Although the structure and operation of the winch equipment are not complicated, if it can not be seriously repaired and repaired, it will frequently fail and shorten the service life.Therefore, in addition to daily maintenance, the winch machine should be disassembled every year when the machine is idle or useless, and each part will be treated separately according to the 3 types of scrap, repair, and availability.Don’t cause big problems because of winch small parts.